Expanded and impressively improved from the original version. New York City has always been a favourite place for filmmakers, but over the past decade production in the city has increased, which has helped to boost the US economy. The New York City Mayor’s Office for Media and Entertainment which was established in 1966 has helped to encourage oversees film and television production in New York and has cultivated relationships between film companies and the local economy. Produced with the agency, Scenes from the City: Filmmaking in New York. 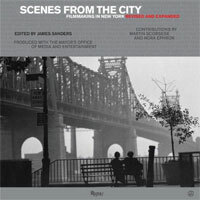 Revised and Expanded is the new 2014 edition of James Sanders’ history of the past five decades of film and television shot in New York City. The original Scenes from the City was published to commemorate the 40th anniversary of the Mayor’s Office of Media and Entertainment in 2006. The new edition looks ahead to the agency’s 50th anniversary in 2016 and includes sixty new pages covering the last decade, including the increased television production that has taken place in the city since the book’s initial publication. 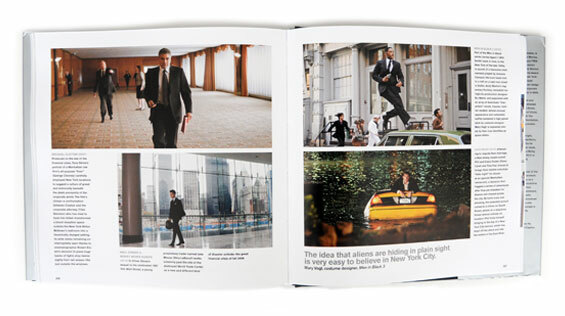 The new edition extends the original 2006 design, which was created by Michael Bierut and Armin Vit. 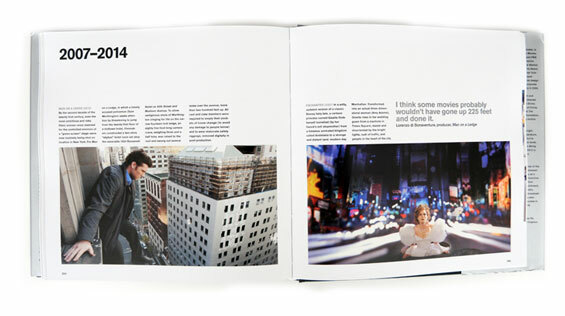 The designers worked closely with James Sanders to develop a chronological framework for the book. Arranged by decade, the book surveys New York’s extraordinary moments in film and television, both in front of and behind the camera. Over 500 rare photographs are featured, as well as the words of leading directors, actors and filmmakers who have worked in the city. 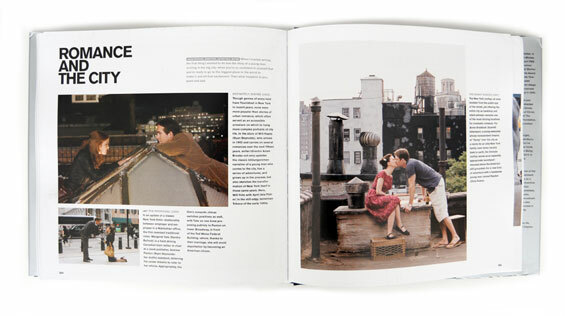 Each chapter opens with a selection of the best-remembered location films of the featured decade, as well as some of the distinctive landmarks seen in those films, and wraps up with a selection of evocative New York “moments” from the same period. 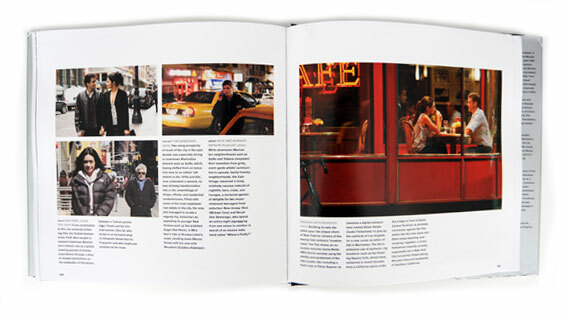 Throughout the book, special sections look at specific areas of the city in detail, from Coney Island to SoHo, Central Park to the Bronx, Greenwich Village to Times Square. The jacket of the new edition replaces the original’s black with silver but retains the iconic image of the Queensboro Bridge from Woody Allen’s Manhattan. 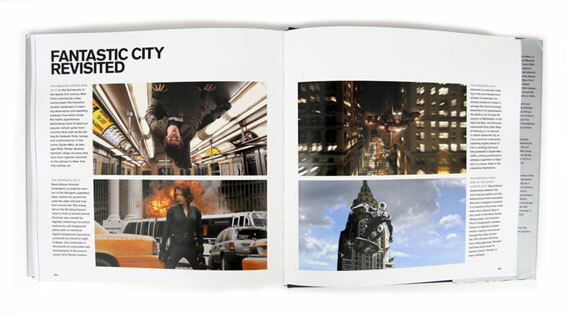 otsoNY Comments: Combining all of the great content from the original publication together with an extra sixty pages to include films shot from 2007 to 2014, this revised and expanded addition of Scenes from the City is by far one of the best film location books available and desirably receives a 5-star rating. Once again, James Sanders edits in a true professional manner and seamlessly includes the new sections. Neatly arranged and beautifully produced, this new version is a must for anyone interested in the history of New York films and their locations.